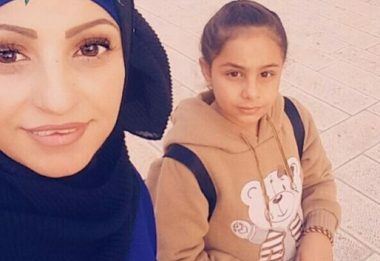 The Israeli authorities have recently deported a Palestinian mother, who is married and was living with her Jerusalemite Palestinian husband and children for the past sixteen years, after repeatedly denying her applications for residency in the occupied city. 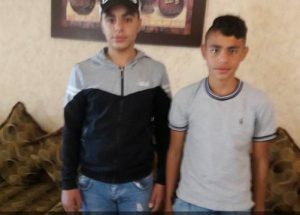 The Wadi Hilweh Information Center in Silwan (Silwanic) said the Palestinian woman, identified as Ibtisam Obeid, 35, is married to Wisam Obeid from the al-‘Isawiya town, in Jerusalem, where she gave birth to their three children, Nayef, 14, Mohammad, 13, and Amira, 10. Although she is married to a native Jerusalemite Palestinian man, the Israeli authorities kept denying her applications and appeals for residency over the last several years, for what they called “security considerations,” without providing further details. Wisam said that his wife was abducted by the army twice last month, including when she and him, along with their son Nayef, were taken prisoner, before being later released, and their son received a home detention order. “Last month, the soldiers abducted me and my wife again, and filed an indictment against her,” he said. He added that the second time his wife was taken prisoner, she was interrogated for several hours, and was only released under the condition of being forced out of occupied Jerusalem. Ibtisam is now living with her parents, along with her daughter Amira, in Ramallah city, while her husband and two sons live at home in al-‘Isawiya. The woman is the latest victim of Israel’s discriminatory policies against the Palestinian and their spouses in occupied Jerusalem, tearing families apart, by denying them residency and family unification documents.